Patio Cleaning in Bedford and surrounding areas. We can provide professional Patio Cleaning services for Bedford, Rushden, Northampton, Wellingborough & Kettering. For many people their garden is one of the most important aspects of their property. It is not only a place to entertain and relax, but often the source of a families fondest memories of time spent together. 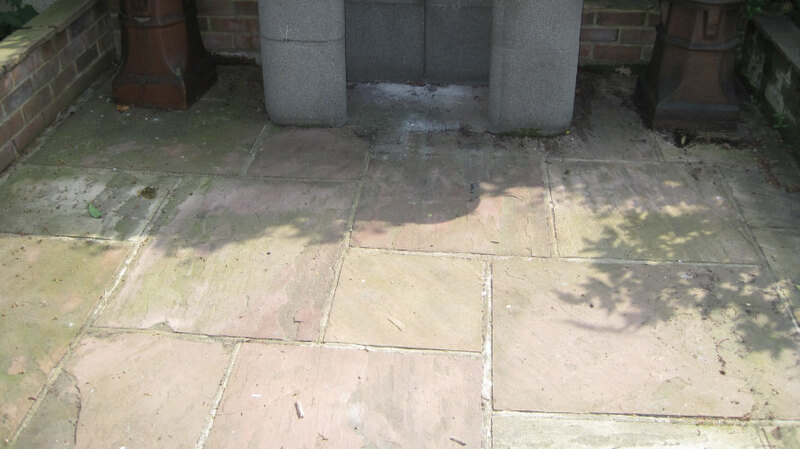 Homecare Clean and Seal are specialists in Patio Cleaning in Bedfordshire and Northants. 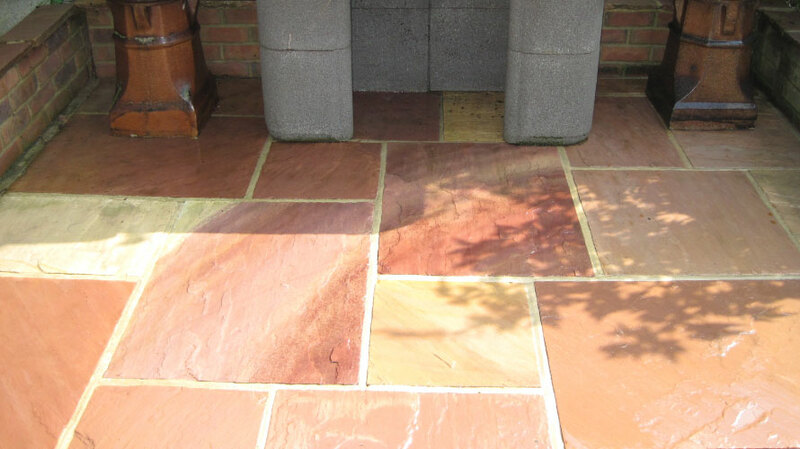 We offer a range of expert services for the protection of various traditional and modern patio materials. Until a few years ago homeowners only had the choice of crazy paving, concrete flagstones, genuine yorkstone or normal paving bricks. Today a huge variety of natural stone, limestone, sandstone, granite setts, travertine and polished stone paving is available. One thing all these surfaces have in common is that without some degree of maintenance they can son look pretty drab, dirty and frequently become covered in black algae. To minimise the risk of damage to the paving or the pointing, prior to patio cleaning we will pre-treat with specialist products. This will enabling the surface of the patio to be properly cleaned without intense pressure washing. Homecare Clean and Seal will not only clean surfaces, we restore and protect them as well. Homecare Clean and Seal are registered agents of Smartseal, the UKs leading supplier of quality sealers. By applying the appropriate sealer after cleaning, your patio will benefit from reduced deterioration, easier and far less frequent maintenance whilst also being protected from further loss of colour. Our services are not only available in Bedford we also cover Northampton, Milton Keynes, St Neots and Biggleswade. Quotation and advice are always free, so get in touch today and find out how Homecare Clean and Seal can help you have a patio to be proud of once more. Please call 07831 840720 or 01604 231199 or complete our online enquiry form if you would like a FREE patio cleaning quote. Looking for a Patio Cleaning Contractor?